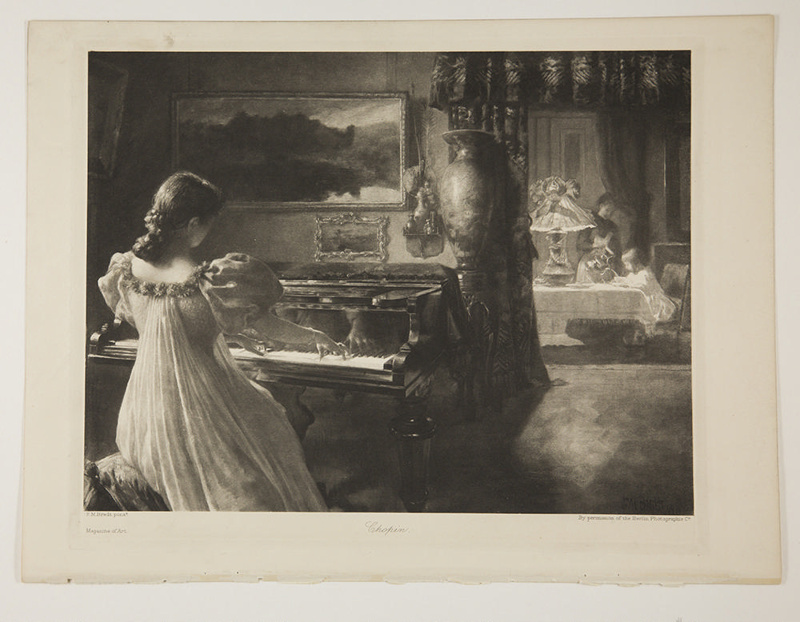 About this objectPhotogravure of painting by Ferdinand Max Bredt entitled Chopin. 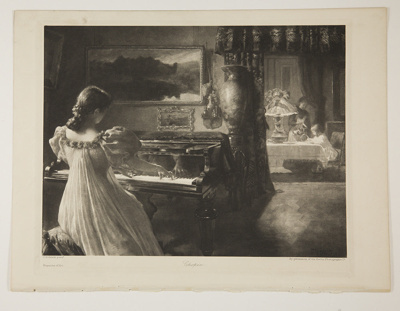 Image depicts a girl at a piano playing a piece by Frederic Chopin while an older woman pours tea to a young girl sitting at a table. The photogravure appeared in the Magazine of Art, possibly in an issue from 1896. Inscription and Marksverso: [stamp] Buffalo Catholic Instituteverso: [pencil] *.B514 78:114 sm. Subject and Association DescriptionFerdinand Max Bredt (1860-1921) was a German painter, well-known during his lifetime primarily as a painter of Orientalist scenes.